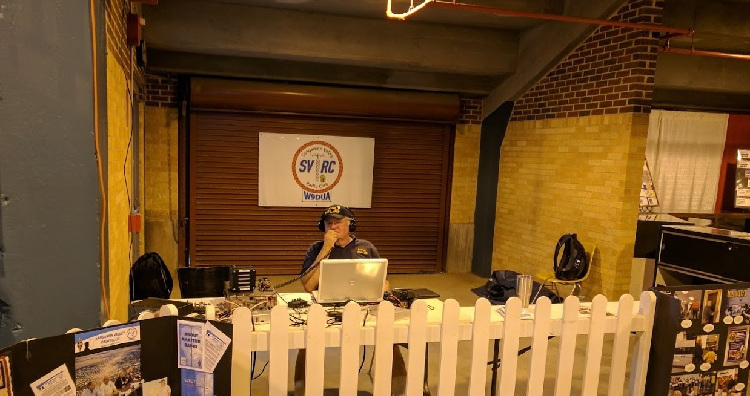 "Whisky Niner Illinois (India) this is W9I, special event station at the Illinois State Fair in Springfield, IL of the Sangamon Valley Radio Club"
This is a great way to see Hams in Action. 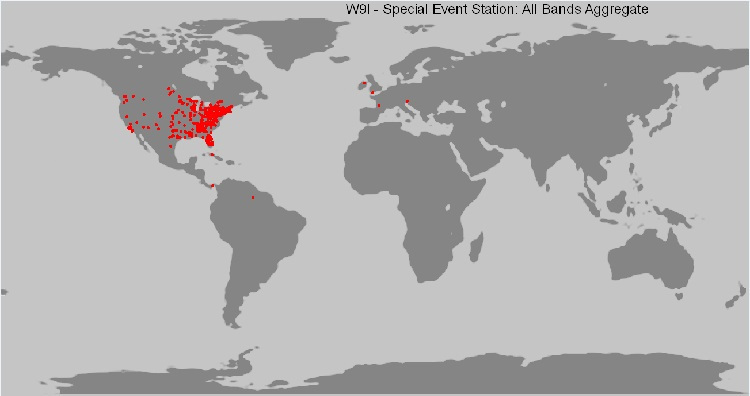 Ham radio operators will be talking to fellow ham operators all over the country and the world! Please stop by and check us out. Ham radio operators will be busy working the special event station and making contacts. They may not have much of a chance to chat, but surely will give you a friendly wave. 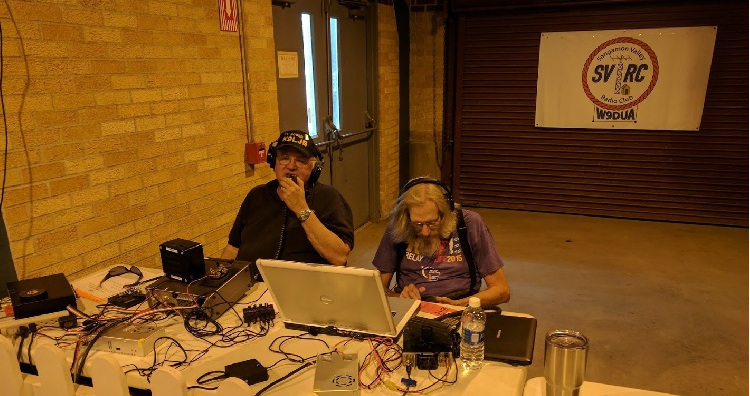 Special Event stations are run as a team effort consisting of several ham operators working in shifts making as many contacts as they can. 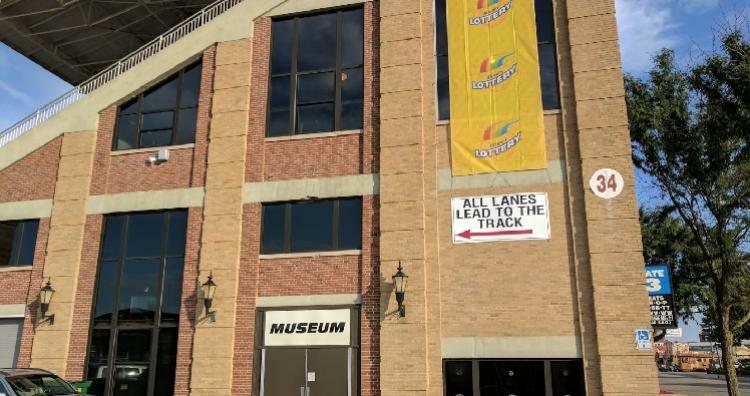 It's an exciting and fast-paced event! Because atmospheric conditions can affect radio signals without warning, ham radio operators will use the (military) phonetic alphabet when communicating long distance. Think about how much these letters sound alike when in a noisy or static-y environment: B, C, D, E, G, P, T, F, S, Etc. Some ham operators may also use Continuous Wave (CW or more commonly known as Morse Code) or digital modes which are easier to copy when conditions are less than ideal. 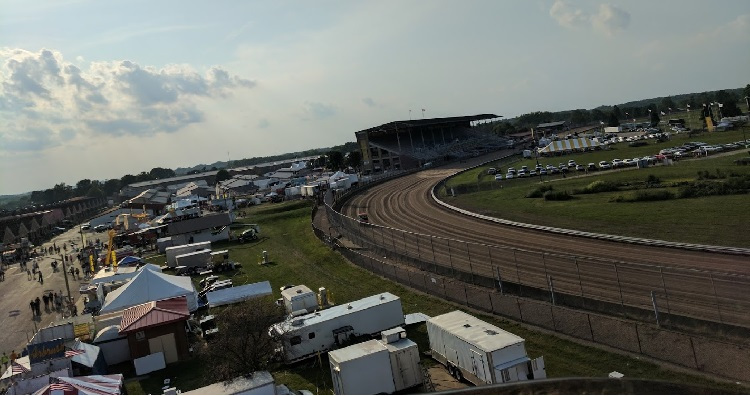 Cause for Celebration: Ham radio at the Illinois State Fair! Like what you see? Please stop by the SVRC for one of our monthly club meetings. We're looking forward to Pile-Ups and a lot of "5-9" reports. 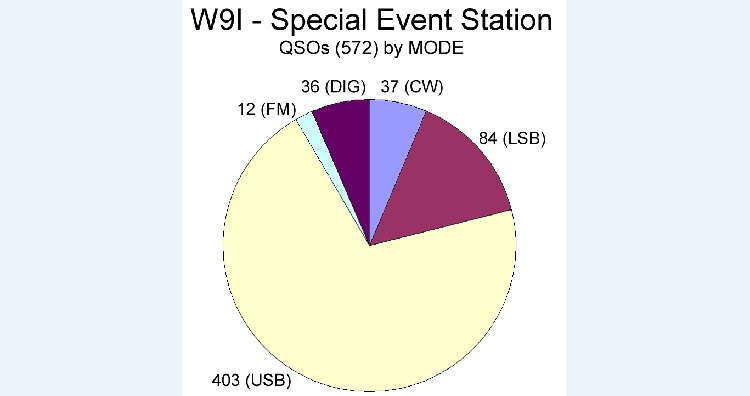 Ham log (next week): All in all, not too bad given the band conditions and the impromptu station set up. We achieved our goal of having fun on the radio and chatting with the fair-goers. 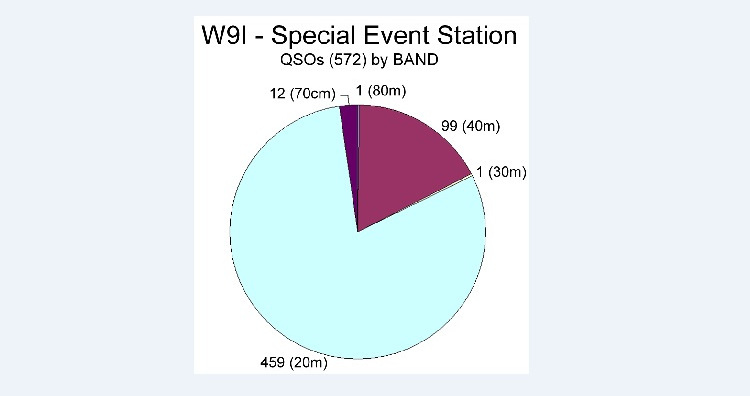 We had a total of 572 QSOs using several different modes from 80m-70cm. Take a look at the map and pie charts, courtesy of K9ZXO: an example of how digital logging helps a ham play with data.